The Utah Giving Alliance Summit is an exclusive event bringing together Utah's top philanthropists. Keynote addresses and premium break out sessions on elevating Utah's social impact make this Summit a unique event that philanthropists won't want to miss. CEO and President - FJ Management, Inc. The Utah Giving Alliance is a coalition of stakeholders in Utah’s social sector who are committed to elevating the philanthropic efforts in the state. This Alliance is fueled by positive response to the Giving State Report which highlights Utah’s social sector strengths and also its areas for improvement. The core mission of the Alliance is to generate greater collaboration in the social sector as well as improve the focus and commitment of key stakeholders to data and outcomes in order to elevate their impact in people’s lives. Elevating Utah's impact starts with a pledge and a commitment to focus on four impact principles. Focusing on and accounting for outcomes (not just activities or outputs). Collecting, learning from, and relying on data, evidence, and best practices to design and improve funding decisions and service provisions. Prioritizing coordination and collaboration to avoid duplication and fragmentation. Integrating the people we serve and their voice into the process to keep services relevant, valued, efficient, and high-quality. Visit the Utah Giving Alliance website today and take the pledge. The Giving State is the first ever statewide data-driven report published on philanthropy and the social sector. Utah is poised to lead the nation in giving, not only in volume but in excellence as well. 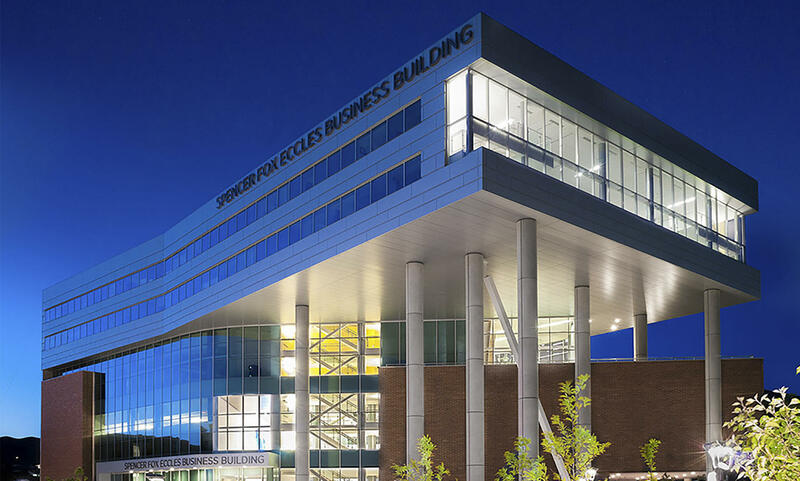 The 2018 Funders Summit will take place in the David Eccles School of Business located conveniently on the University of Utah campus near downtown Salt Lake City. *Operational support provided by Cicero Social Impact, UServeUtah, and the Forever Young Foundation. Membership is simple. It starts with a desire to improve our community and a commitment to the Four Impact Principles. The Alliance is committed to Utah’s social sector and welcomes new partners to the table. Join us today.